The Australian cruise industry is booming and with ships such as Voyager of the Seas fronting the pack, it’s not hard to see why! In early August the leading cruise line announced that the vessel would be undergoing a multimillion dollar ship-wide refurbishment that would see it decked out with a plethora of exciting new features and on-board amenities. The 3100 vessel is Australia’s largest cruise ship and already features a number of great facilities including a mini-golf course, ice-skating rink, rock-climbing wall and basketball court. But according to Royal Caribbean representatives, there’s always room for improvement! Catch a wave in the middle of the ocean! One of the most exciting new features is the line’s hugely popular FlowRider surfing simulator machine. The simulated wave riding experience has been a huge hit on the RCI’s other vessels operating in international waters. The machine will be an Australian first which the line hopes will be just as popular with its Down Under passengers. RCI has made headlines lately for its innovative roll out of virtual balconies on-board its Quantum class ships. The concept has been introduced to the vessel’s interior rooms and treats passengers to spectacular sea views without the need for a real life window. The images are displayed on an enormous 80-inch HD screen and are accompanied by a sea themed soundtrack. With maritime cameras relaying real time footage, it’s almost as good as the real thing! Movie buffs will be in silver screen heaven with the addition of a 3D theatre on-board Voyager of the Seas. The venue will screen all the latest new release films in eye popping 3D format. For passengers preferring a slightly less extreme experience, the 67 square metre poolside movie screen is the perfect place to catch a flick under the stars. Rumour has it that the screen will also be used for larger than life video game competitions! Foodies will be well taken care of with Voyager’s mouth-watering range of all new dining options. Izumi Japanese Cuisine will be serving up hand rolled sushi while Chop’s Grille is a mecca for steak lovers. Giovanni’s Table Italian trattoria is ideal for hungry holidaymakers and for creative cocktails, the new look 1960s themed R Bar is a must visit venue. Crown & Anchor Society guests will also be able to take advantage of the vessel’s newly implemented Diamond Lounge. While some cruise ships lag behind when it comes to technology, Voyager of the Seas is at the top of its game. Digital signage is designed to help passengers navigate their way around the decks and staying in touch is easier than ever with an upgraded ship-wide Wi-Fi system. Entertainment is also unsurpassed with flat screen TVs installed in every stateroom. 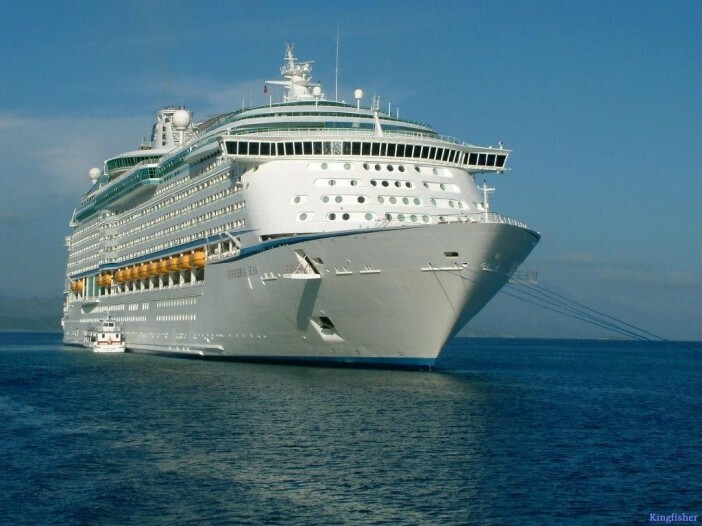 The all new Voyager of the Seas is set to make its first post-revamp cruise on November 21 2014. The four night ‘Best of Malaysia’ voyage departs from Singapore and calls at the stunning ports of Langkawi and Port Kelang. If you want to secure a place on board the new look Voyager of the Seas, get in touch with the Royal Caribbean International specialists at Cruise 1st. The company offers a fantastic selection of RCI cruises at unbeatable prices.